Taking a moment to say thank you…. 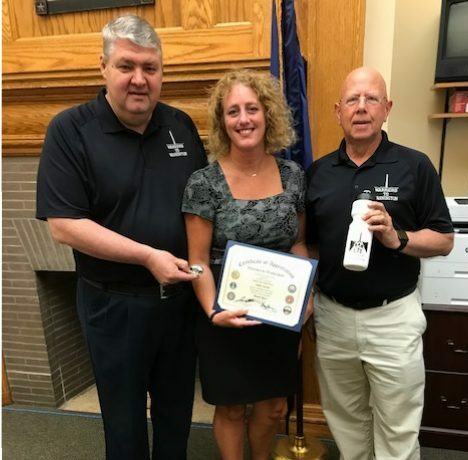 I had the honor to present Sheila Fitzgerald Sterrett, the Northwest Regional Manager for United States Senator Pat Toomey, with a Warriors to Washington Certificate, the Coin and a water bottle for her tremendous efforts over the past five years. Without Sheila’s help Warriors to Washington would not enjoy the success that we have. She has literally been there from the first day assisting our group so that we can help connect and thank our veterans from Northwest PA. 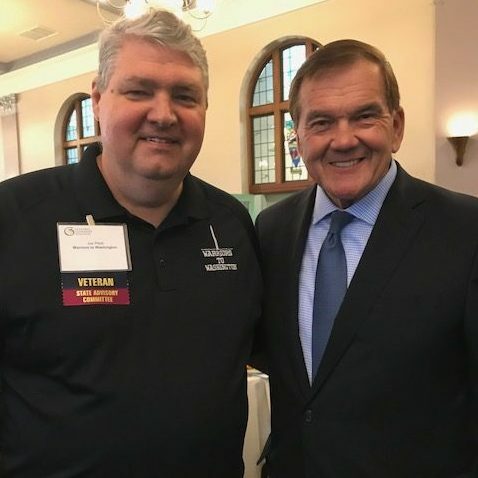 Along with Greg Henning our Vice President, we thanked Sheila for her years of assistance and advice that are evident in many of the things that we do for our veterans. Sheila I thank you and Warriors to Washington thanks you for all your hard work and capable assistance!